She calls me "Mama Leisha": Festive Fall Wreath and 25 Shmacks! Love the wreath! So cute! What do I NOT love about Fall?? My favorite thing is the smells: the smokiness like summer is burning off; the pumpkin spice everything; crisp apples... I love it all!! My favorite thing is the crisp air in the mornings and nights and being able to LAYER! I love busting out my favorite fall boots. It's all about the shoes. 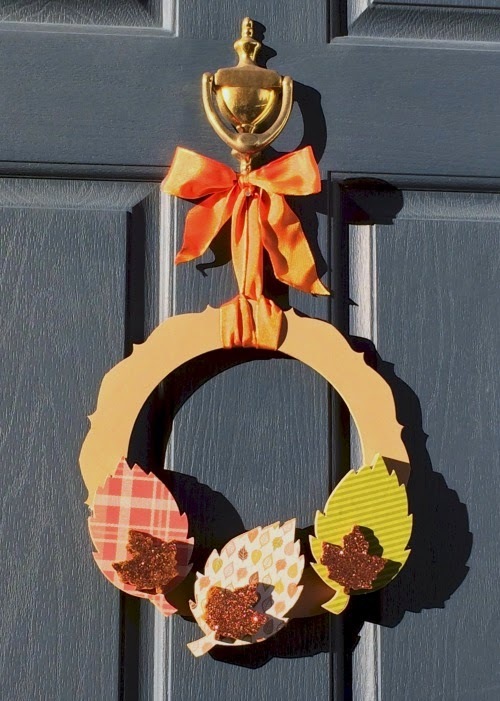 And that wreath is adorable! I LOVE Cocoa, candles, sweaters, HALLOWEEN!!! Pumpkin everything, from decor to food! I love the weather turning a bit cooler and all the beautiful colors! Fall is amazing! It's the perfect crafting weather!! And pumpkin everything doesn't hurt either. Fall Shows are always me favourite part of fall. If you have some time I would love it if you joined and contribute your awesome posts at my link party at City of Creative Dreams, starts on Fridays :D Hope to see you there at City of Creative Dreams Link Party. I love the changing of the leaves and everything pumpkin!